Jerry Rasmussen was born and grew up in Janesville, Wisconsin. He always had a love of music, working his way up through harmonicas and sweet potatoes to ukeleles and a mandolin before taking up guitar in high school, The music of his growing-up years, from the popular music of the Big Band Era, the folk music of Burl Ives and the Weavers, the old hymns that were sung around the house, and the excitement of rhythm and blues groups and early rock and roll became his vocabulary as a musician and songwriter. His love of writing dates back to high school when one of his poems was published in the annual school literary magazine. After graduation from high school in 1953, Jerry attended the University of Wisconsin in Madison, earning B.S. and M.S. Degrees in geology. In 1960 Jerry moved to New York City for graduate work at Columbia University. It was there where he learned to play finger-picked blues guitar from the legendary Dave Van Ronk and began performing in Greenwich Village coffee houses. From 1962-64 he taught geology at Hunter College before moving to Stamford, Connecticut. 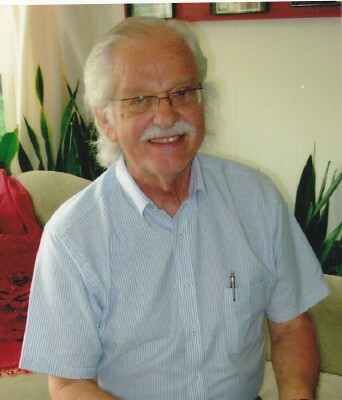 From then until his retirement in 2000, Jerry worked at the Stamford Museum and Nature Center, serving as Executive Director for his last thirty years. In 2002, Jerry and his wife Ruth moved to Derby, Connecticut where they enjoy the pleasures of small town life.